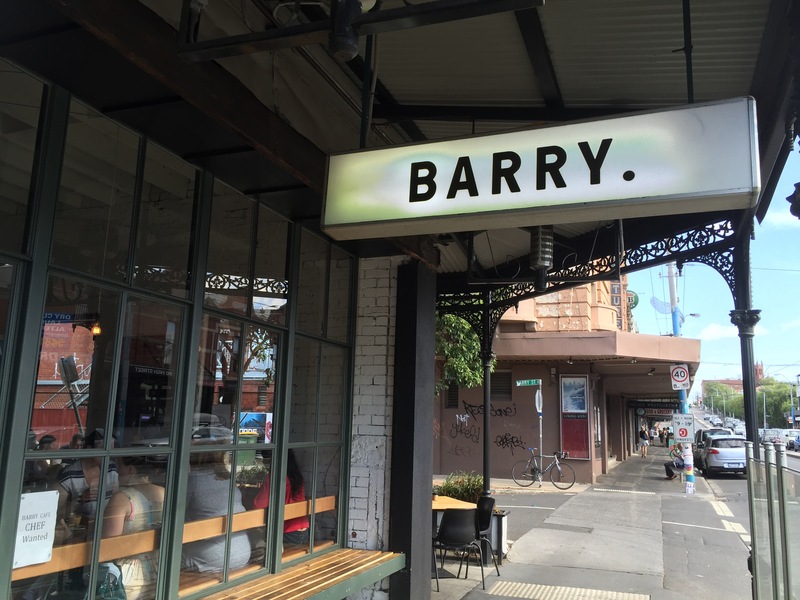 You’ll find Barry on an expansive corner on the High Street in Northcote. We visited on what was forecast to be a stinking hot day. There was already a crowd in bright and early, keen to beat the heat. The dining space was just beautiful. Big and open with raw white walls and accents of black and wood, the atmosphere was welcoming under the stylish facade. The staff were clearly seasoned pros at the breakfast rush. Quick to provide menus and take orders. 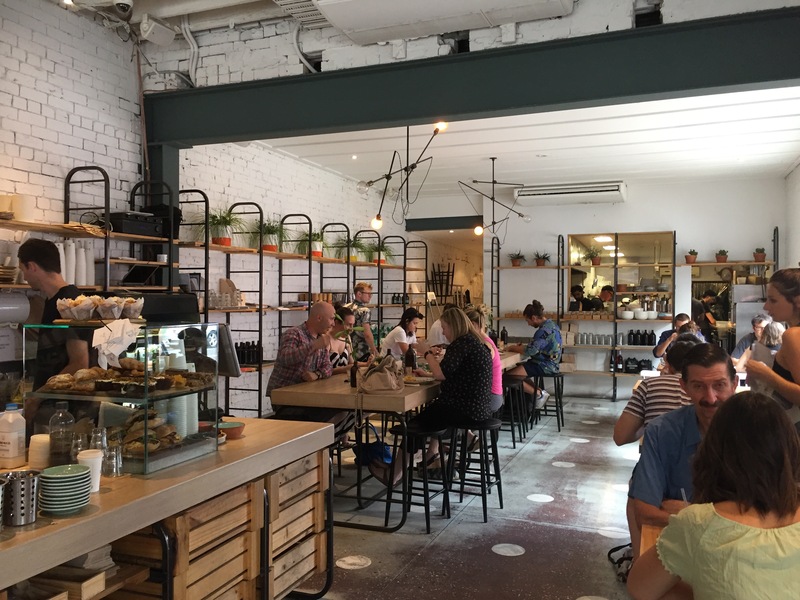 Given how busy the cafe was staring to become their efficiency was greatly appreciated! 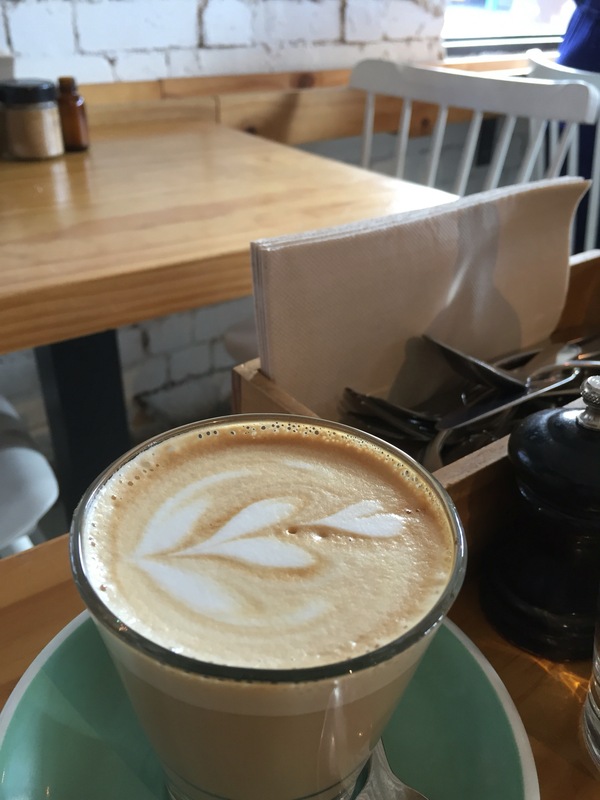 Our lattes were delicious, rich and smooth with a wonderful creamy mouthfeel. There was a nice latte art given how busy they were. 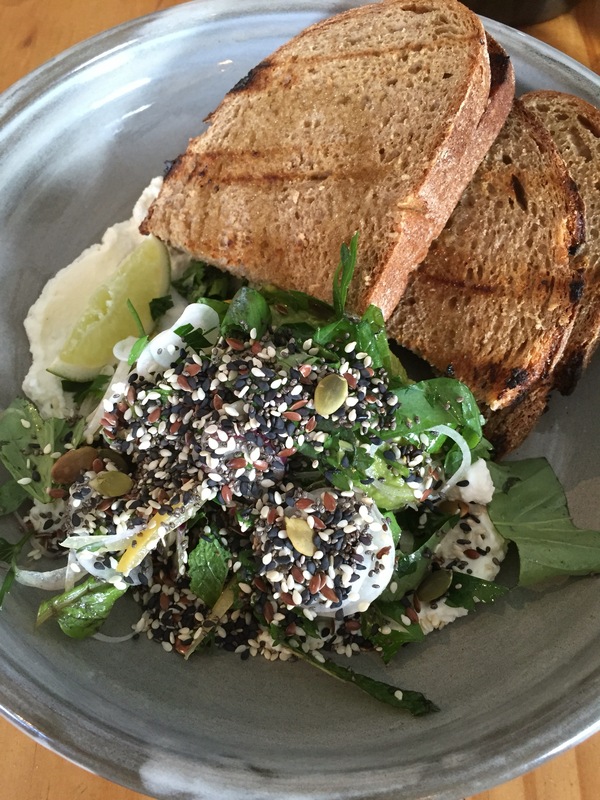 Our first choice from the menu was the Crushed Avocado served with grains, lemon and goats cheese. Apparently we’ve reached peak ‘smash’ and have moved into crushed, who knew? We loved the fresh, lightness of this dish, the creamy goats curd with the flavour explosion of the preserved lemon. 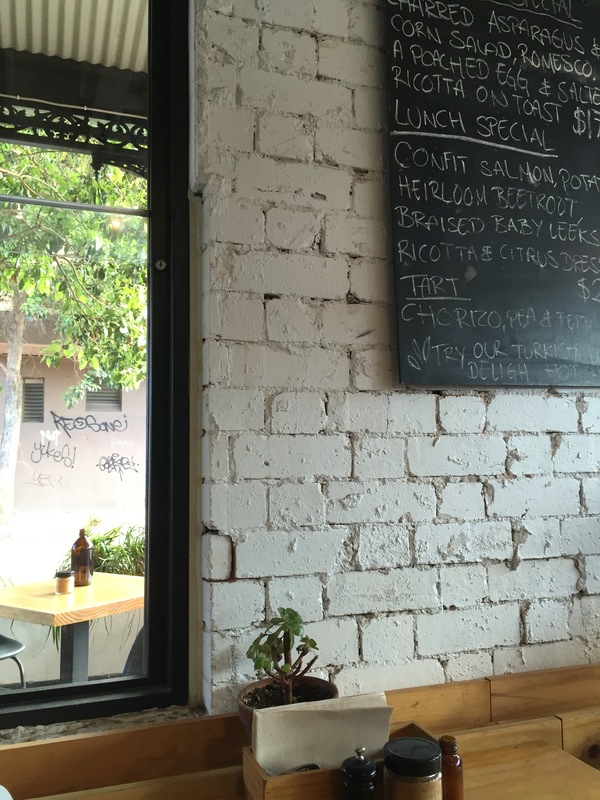 The rye bread was a welcome change from the sourdough of most meals. 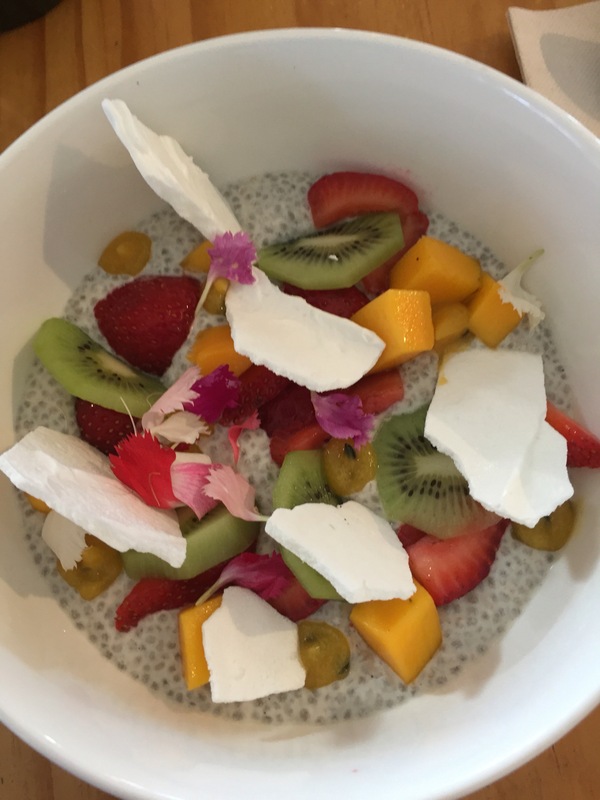 We also tried the incredibly pretty Pavlova Chia Pudding served with fresh fruits. We loved the beautiful combination of colours and pops of sweetness from the fruits. The texture had a great creamy consistency which is surprisingly hard to manage and was served refreshingly cool. The pavlova gave this otherwise healthy dish a real sense of luxury and indulgence. We were very impressed by Barry and will be sure to return!